Libby and Cole are off on a vacation to France in 2 Tasty Too: l’Amour a Paris! Once there, Libby’s friend Matthieu offers to teach her how to make delicious delicacies and become an expert in French cuisine! 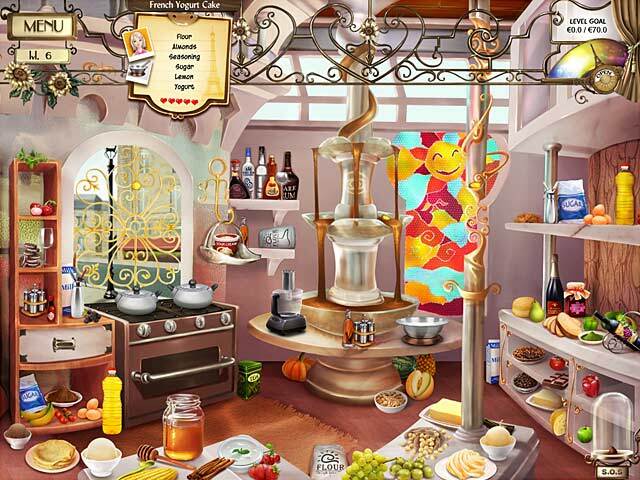 Travel all over France and cook up incredible meals in this fantastic Time Management game. 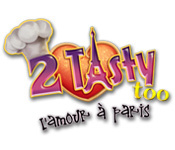 Become a gourmet chef and learn real recipes all while enjoying fast-paced fun in 2 Tasty Too: l’Amour a Paris! 2 Tasty Too is rated 3.4 out of 5 by 58. Rated 5 out of 5 by kushi02 from kushi02 I love this game the first one i also love just as much wish they made a third one though. Rated 5 out of 5 by chinadoll012 from Loved it! Storyline was cute. Graphics was colorful, easy on the eyes and fun. This is more of a cross between HO and TM, but definitely worth the try, if not buy. 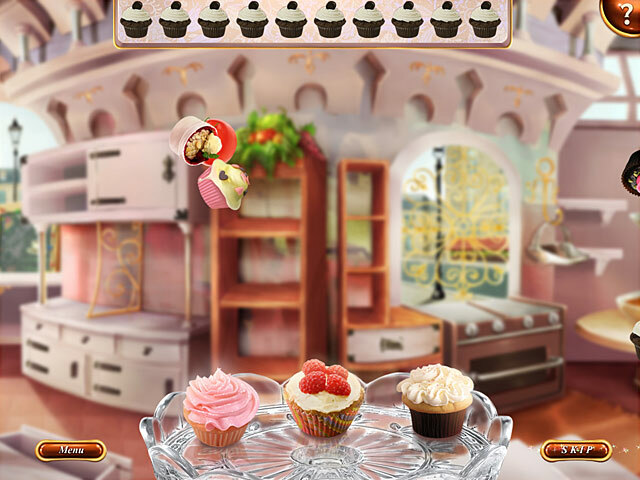 Gameplay is to find the items required to make certain dishes per customer. As you progress in levels, they add more ingredients to the scene and more rooms. One aspect I did enjoy was the fact that not all the items are in the same spot everytime you replayed or returned. This way, it makes the game more replayable since you can't just simply memorize everything. Definitely try the game! Rated 5 out of 5 by taidiv from What a fun game! I really love the 2 tasty series, especially 2 Tasty Too. I get myself a nice cup of coffee and play for hours. Love the Parisian music. Great fun finding all the ingredients quickly. We need more 2 tasty games please! Rated 5 out of 5 by AJLlewellyn from Loved it! I absolutely loved this game. Some challenges were hard but so rewarding - especially when they move items around in the kitchen just as you've memorized their locations! I loved the recipes and the celebrities! Loved the storyline even if the dialogue was clunky. It's a romance! I started playing faster and faster to make sure Libby got a happy ending. This is a wonderful hybrid of HO and TM with gorgeous graphics and excellent attention to detail. Loved the music for each restaurant. Rated 5 out of 5 by artbytanya from Hidden object and memory game Great graphics. Wish there were more Gourmet games! Rated 5 out of 5 by dazzlingsunset from Fun Time Management Game Excellent game, quite recommendable. Rated 5 out of 5 by mewmeee from Lovely Story. It kept me happy for a whole week! Rated 5 out of 5 by Mademoiselle2 from Great TM/HO Game This game is fun--like the first 2 Tasty game. I loved that this one takes place in Paris! The music is wonderful and relaxing, making for a very enjoyable game. Libby and Cole are off on a vacation to France! Once there, Libby’s friend Matthieu offers to teach her how to make French delicacies!